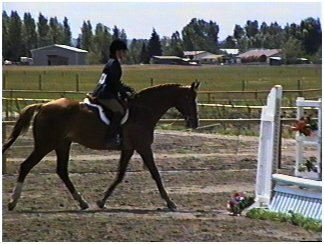 Hutch is a great older horse who would suit 8 out of 10 competent novice riders. We have had him in our barn through 3 owners spanning the past eight years and all have truly enjoyed this attractive gelding. He has always been serviceably sound without medications or injections, thus little maintenance. 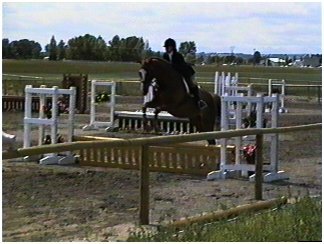 With continued fitness Hutch is prepared to introduce yet another rider to the joys of horse ownership and the show ring. 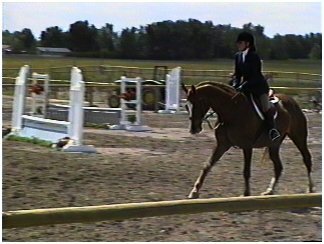 Big u/s trot and rocking horse canter, lead changes, "point and go" to the jumps. 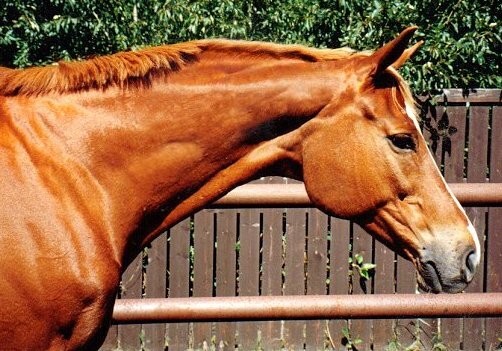 Congratulations to Hutch's new owner in Kentucky, USA.